Congratulations Marc Fialkoff (PGG Doctoral Candidate) for being selected as a 2017 Eno Transportation Fellow. The Eno Center for Transportation is non-profit foundation whose core mission is the study of emerging issues in transportation policy and the cultivation of future leaders in the field. Marc is the first student in the School of Public and International Affairs at Virginia Tech to be selected as an Eno Fellow. As a Fellow, Marc will travel to Washington D.C. in early June to participate in the Eno Center Future Leaders Development Conference. As a doctoral candidate and a lawyer, Marc’s research is at the intersection of law, transportation policy, civil engineering, and network science. 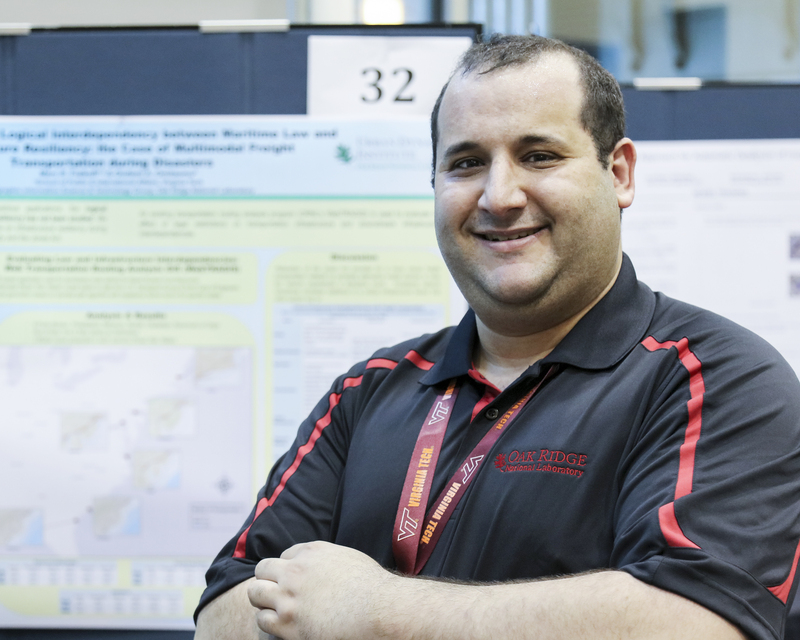 His research focus on freight transportation resilience was awarded a HERE Dissertation Support Grant by Oak Ridge National Laboratory in 2016, where he carried out his research into the effect of the Jones Act on freight transportation movements after Hurricane Sandy. His research has been published in the Critical Infrastructure Report and the International Journal for Critical Infrastructure Protection. Marc’s committee represents the interdisciplinary nature of transportation policy, with committee members from Urban Affairs and Planning, Civil and Environmental Engineering, Law, and Network Science. I currently co-chair Marc’s committee with Ralph Buehler, along with committee members Kathleen Hancock, Henning Mortveit, and Jonathan Gutoff.